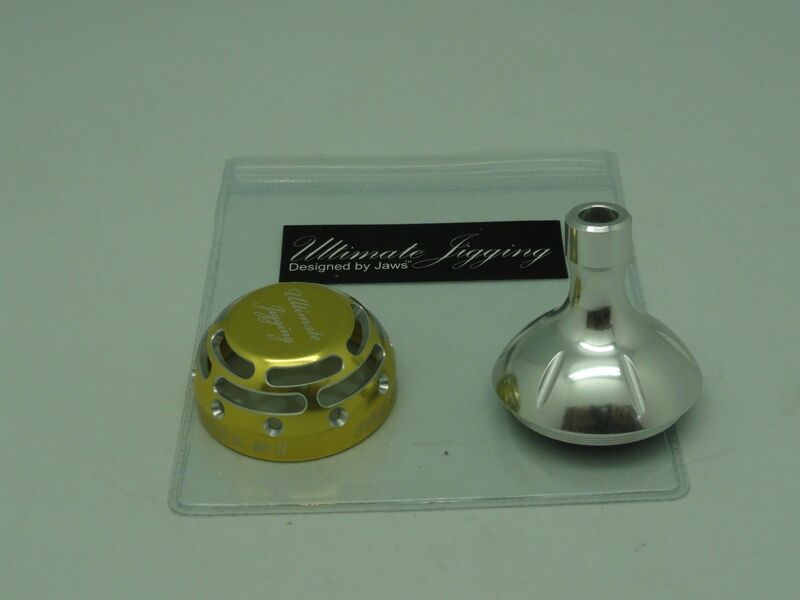 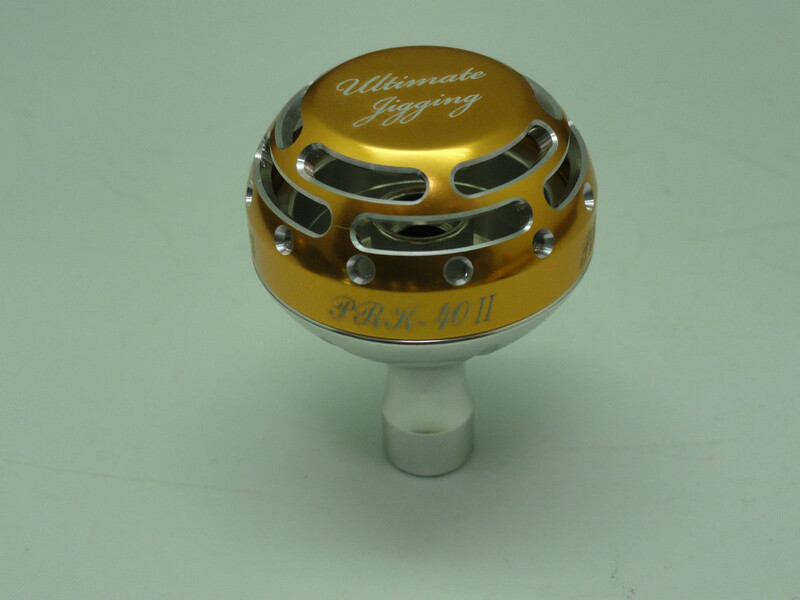 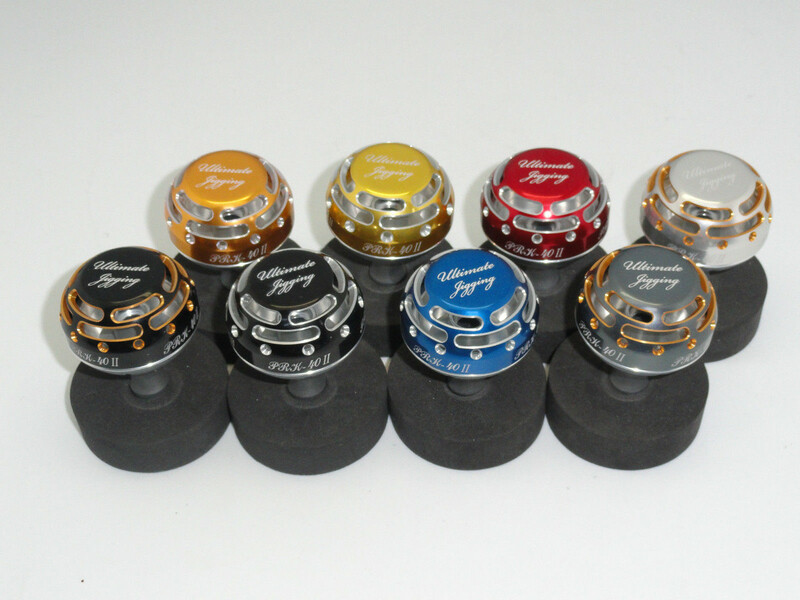 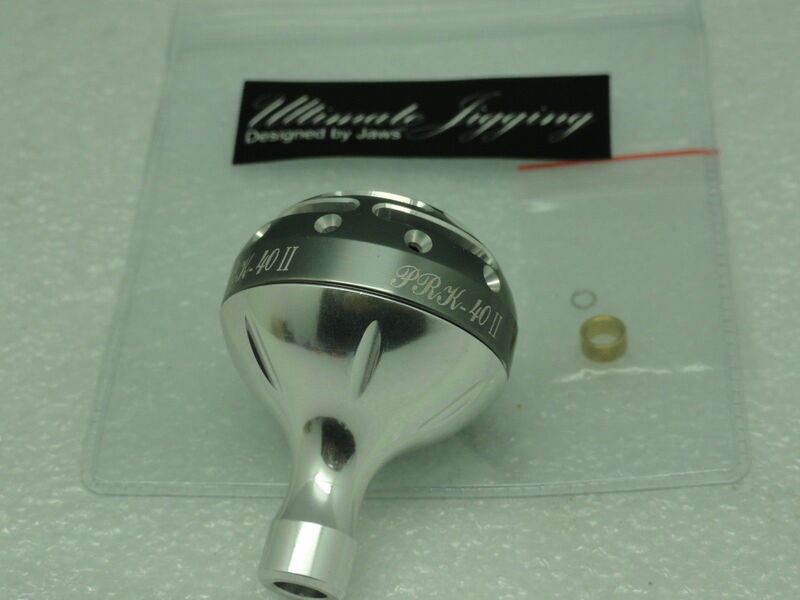 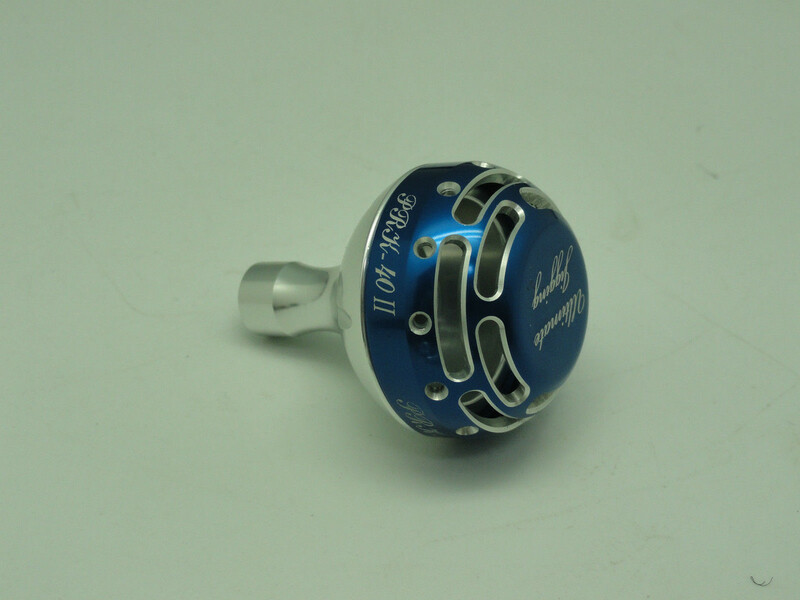 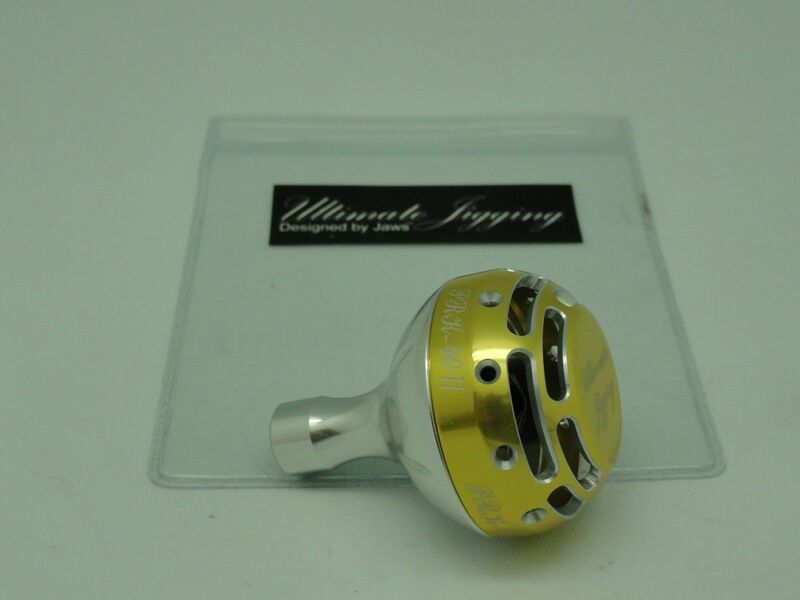 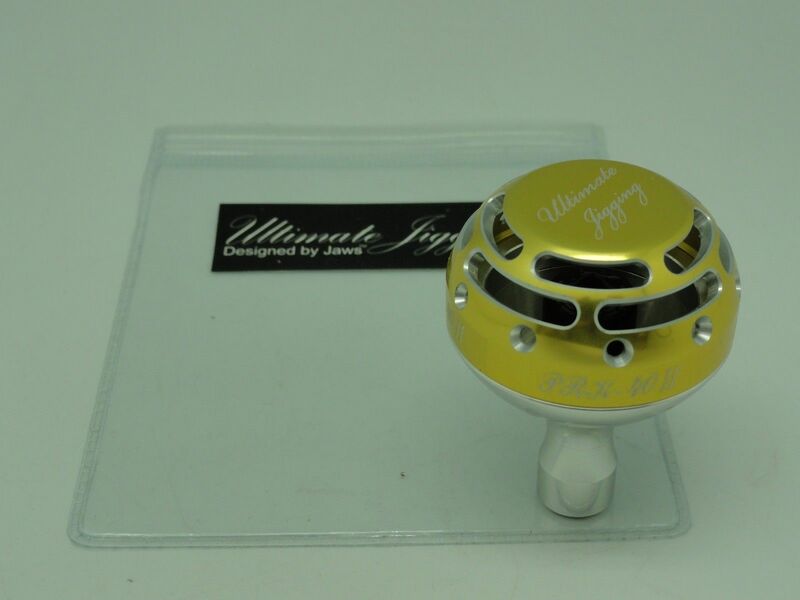 Ultimate Jigging 40mm Power Round Knob Type II is well crafted from solid 6061-T6 Aluminum stock with type two anodized and two-tone color. 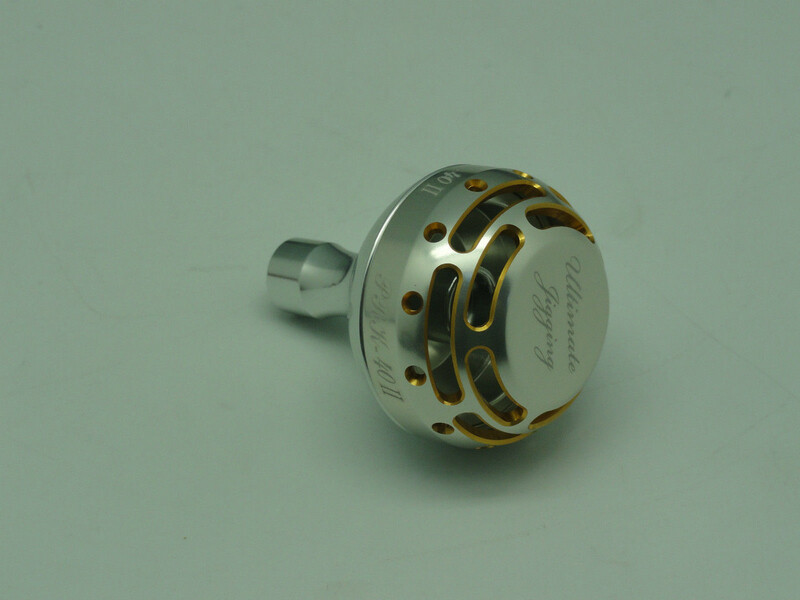 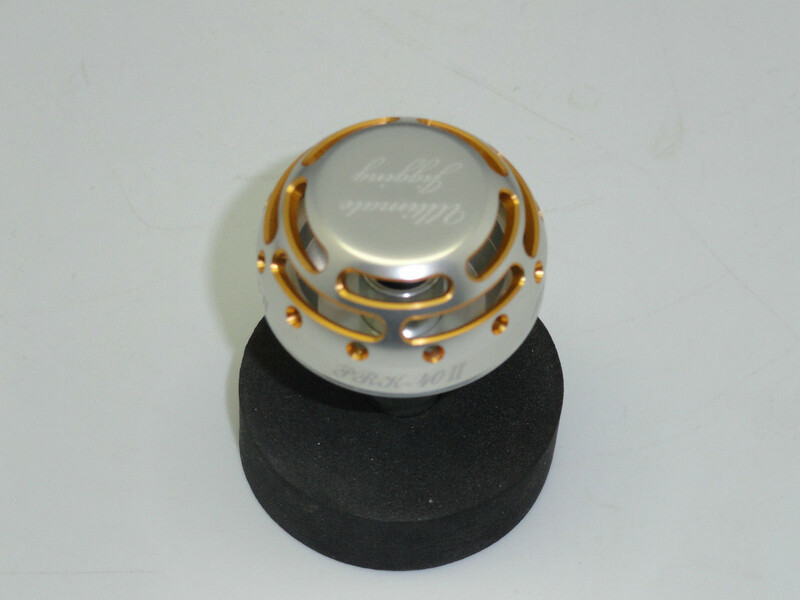 This knob is a true art piece; it takes a lot of machine work; It is very stylish & light in weight and is designed in USA. 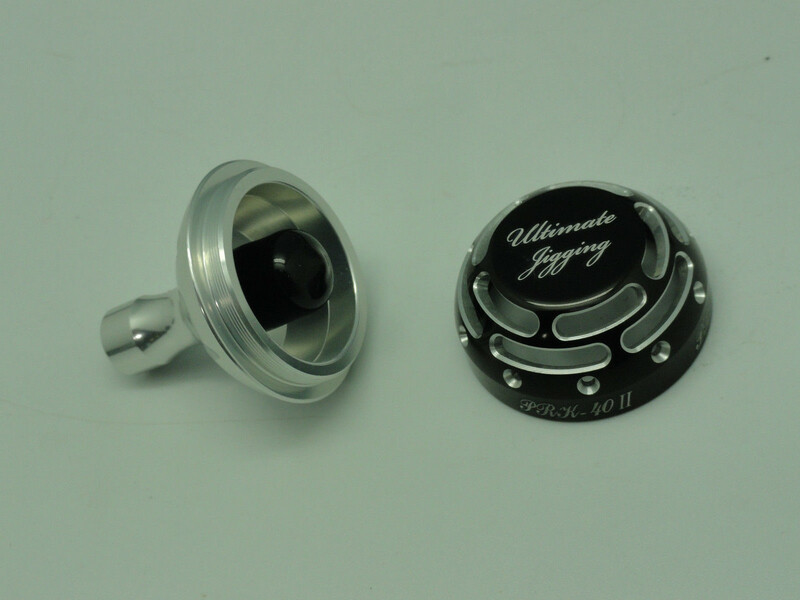 It is precisely made; no play (only 0.01mm) once you install it right. 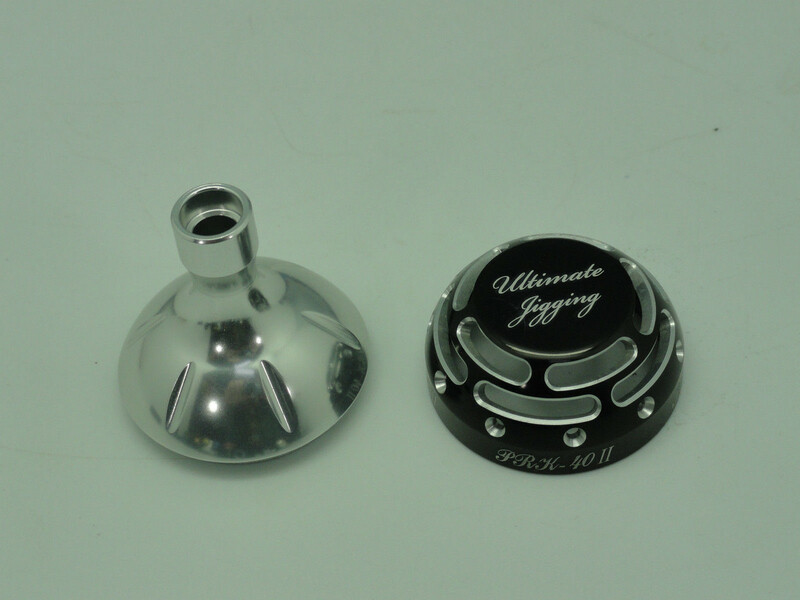 Upon you install it, you must make sure every part is align and clean then to follow the original diagram paper or instruction that comes with this Knob to install it. 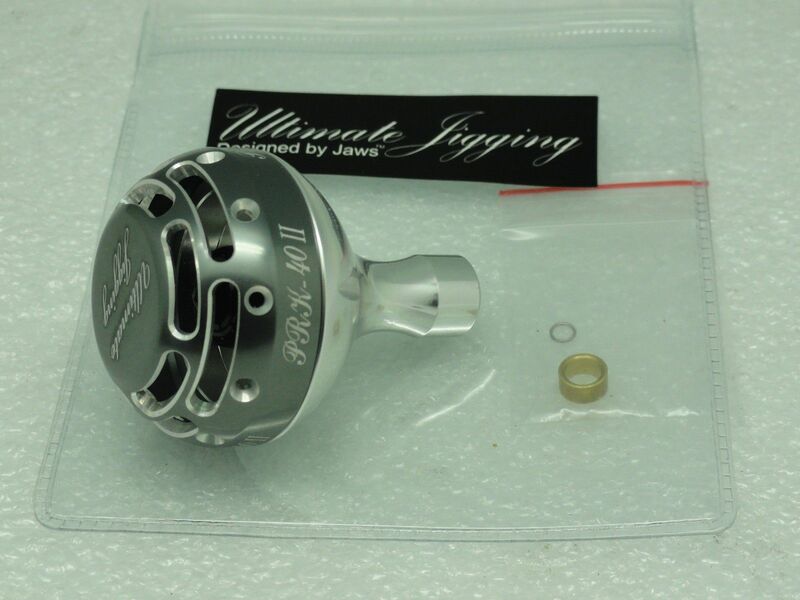 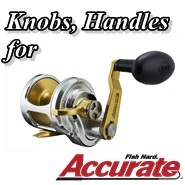 It can be directly installed to original shaft of Shimano or Daiwa Spinning/ Conventional Reels and it is excellent for rocky shore Float Fishing, Bass Fishing, EGI Fishing, Surf Casting and Boat Jigging. 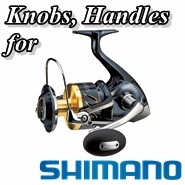 NS Cup fits on newest mid size Shimano '08~13 Models Sella 5000~10000 SW, New Saragosa SW 5000~10000 and Twinpower Reels. 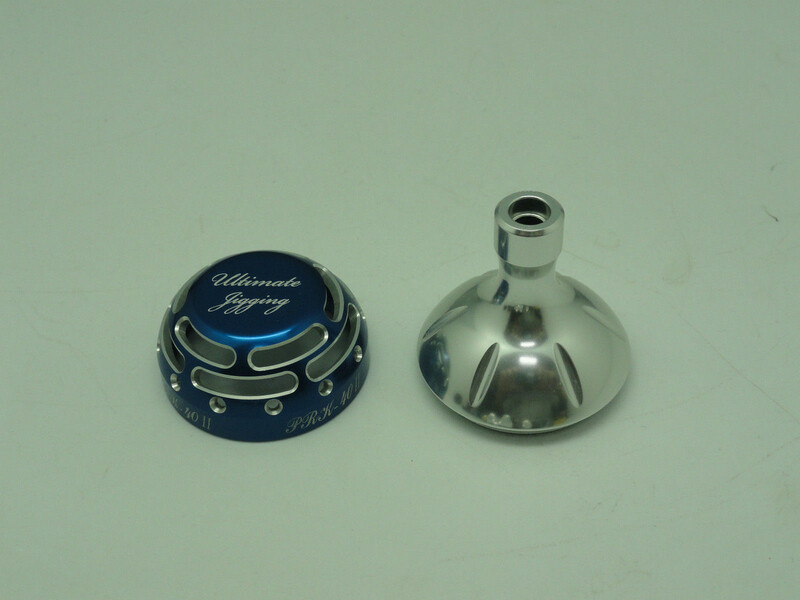 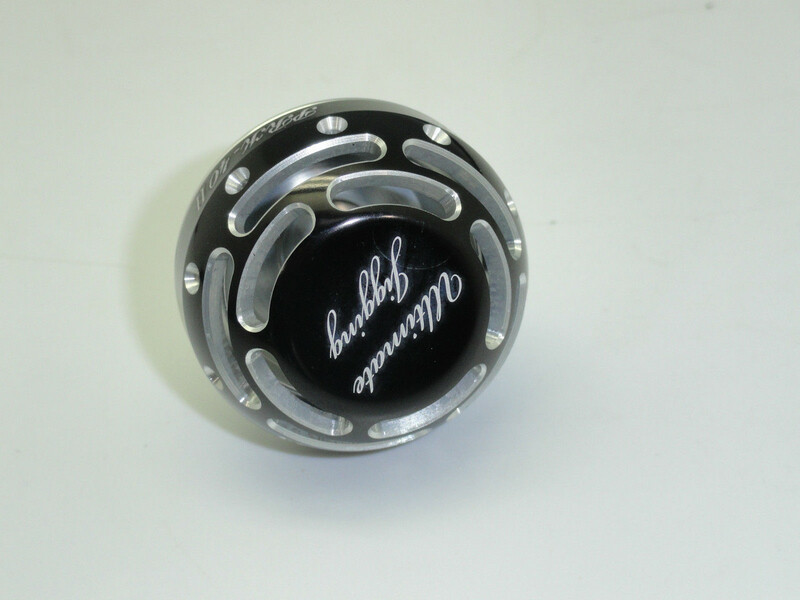 S Cup fits on Shimano Stella, Twinpower, old version Saragosa 4000~10000F and other Shimano Conventional Reels. 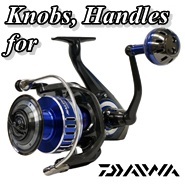 D Cup fits on mid size Daiwa Spinning or Conventional Reels. 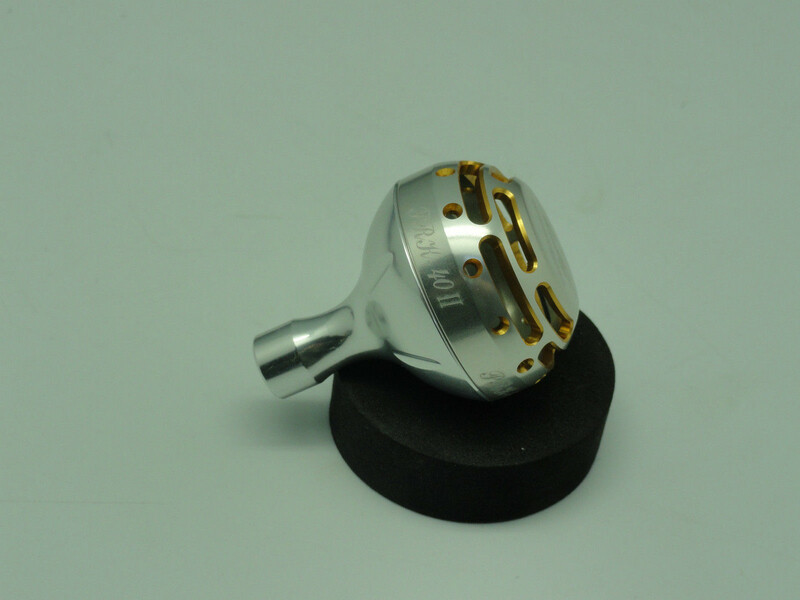 Normally, you do not need any extra bearing to install the Knob. 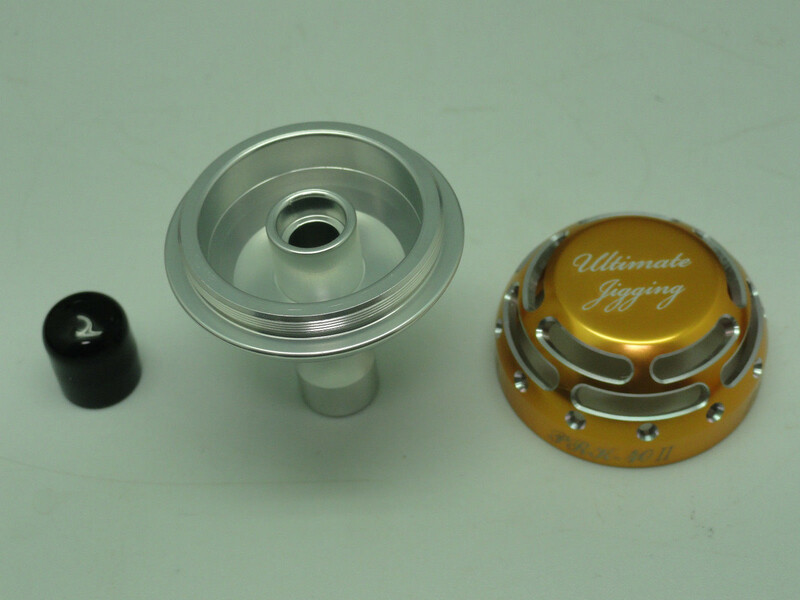 Just use your original Bearings/Sleeves that removed from the original knob and follow the diagram instruction to complete the installation. 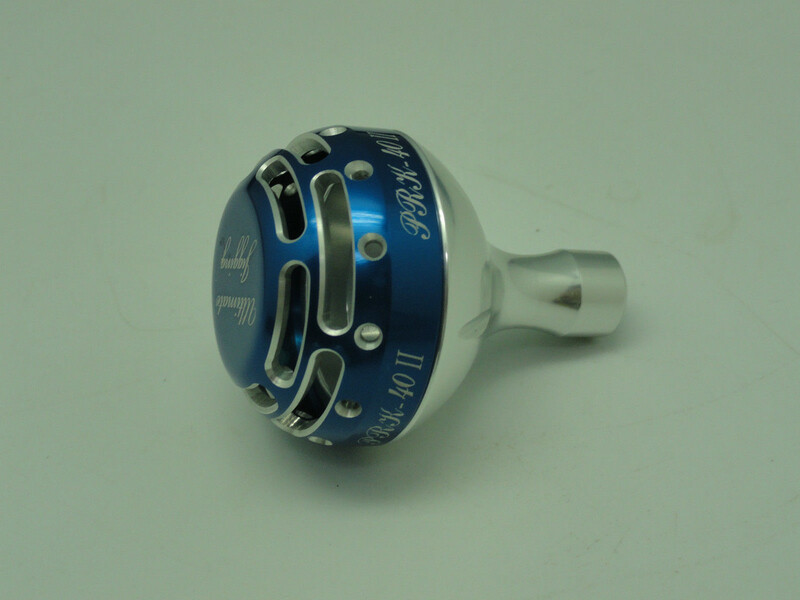 Shimano Stella (04) SW4000, 5000 HG/PG and Shimano Stella 6000, 8000 FA (U.S. Model) - "S" Cup. 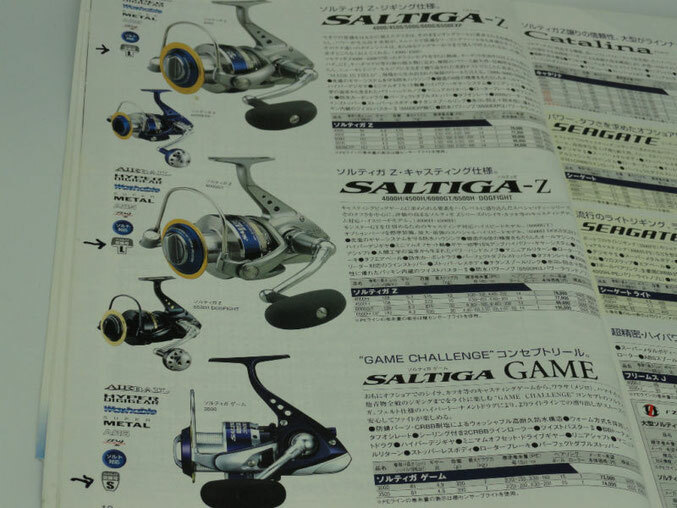 Shimano Twinpower 4000,5000 HG/PG, Saragosa 5000SW~10000SW and some versions of Stella 3000, 4000 FD - "S" Cup. 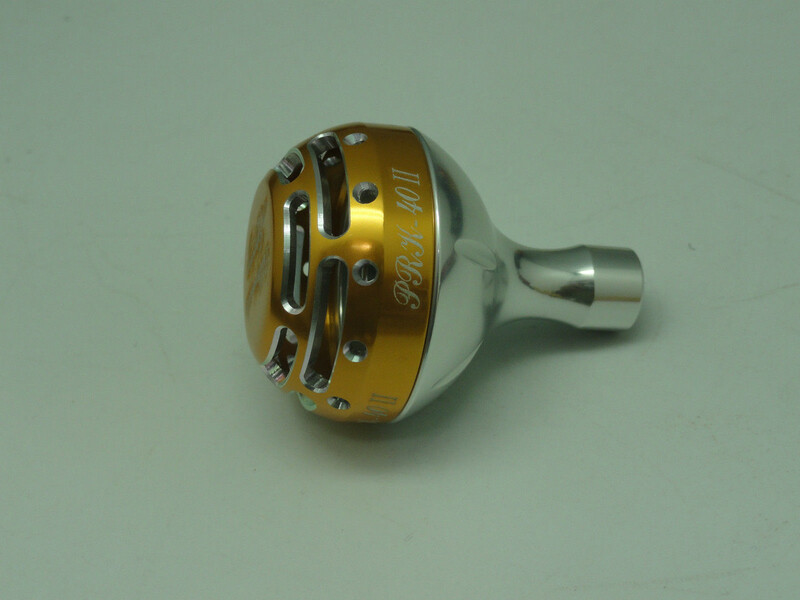 Shimano New Stella (08)+ SW4000 XG/PG, SW5000~20000 - "NS" Cup. 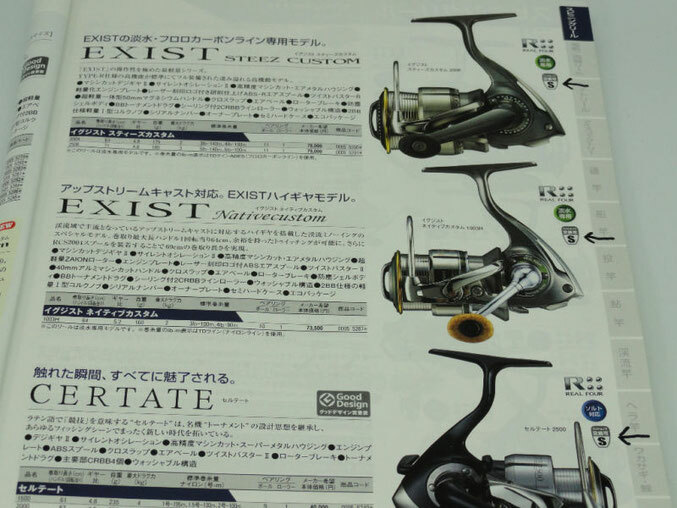 "D" Cup fits direct to Japan Daiwa Catalog with label “S” 1500~4000 Certate, new Saltiga...and many more (the "S" label only indicates size of knob). 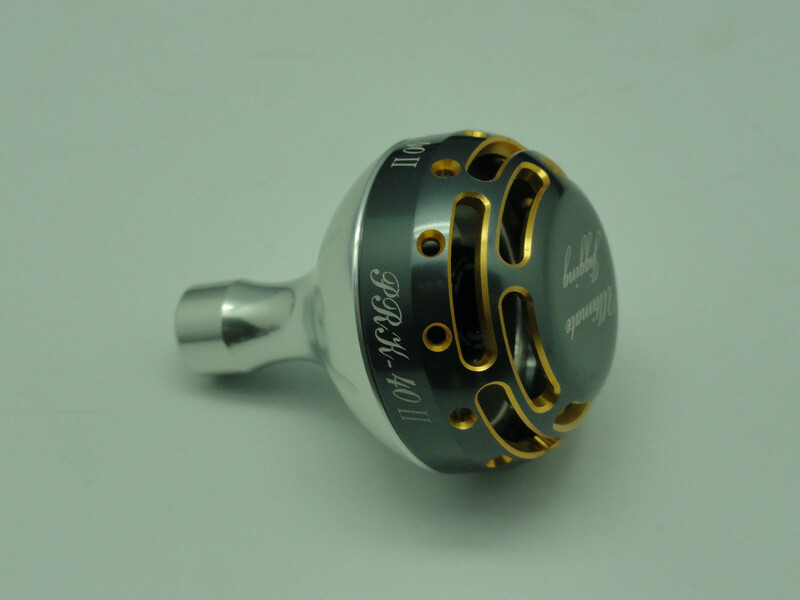 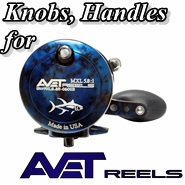 If your Daiwa reel is label ”L” mark then you may need to get 45mm Knob or 45mm Type II Knob instead of 40mm one. 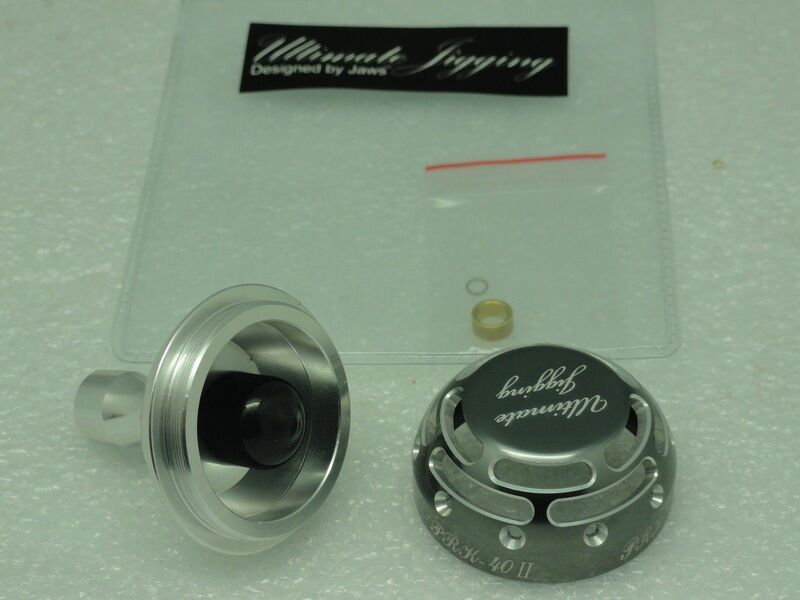 Shimano new 2014 AERO Technium XS-C 10000 surf reel need to use D cup. 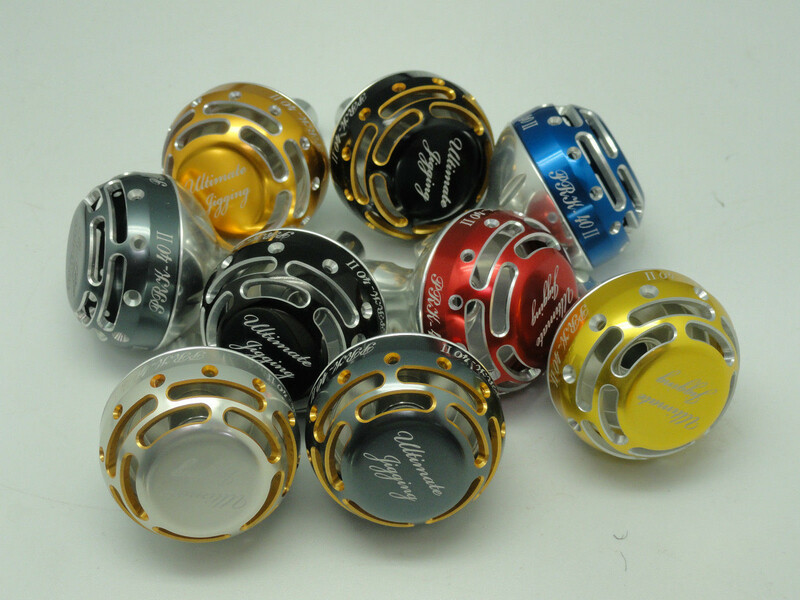 New Trinidad A series might need a NS cup. 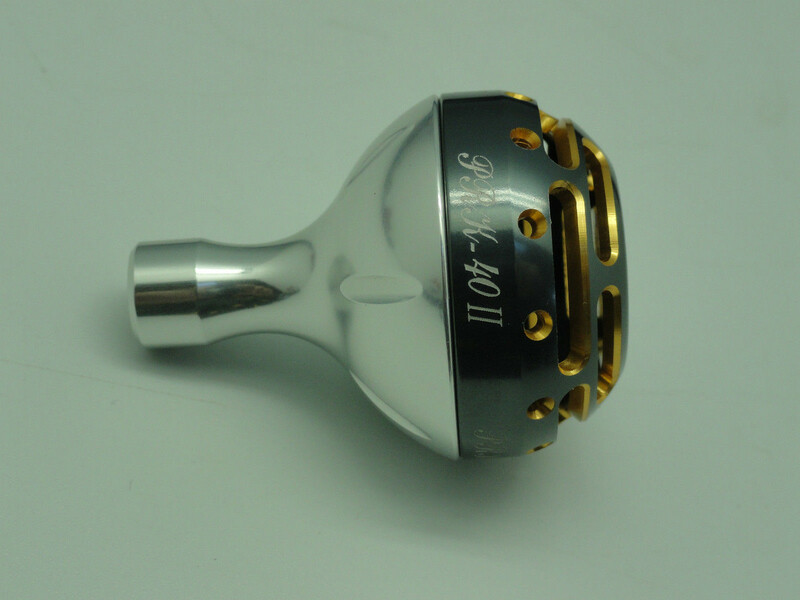 Please remove your original knob to get measurement of two bearings' O.D. 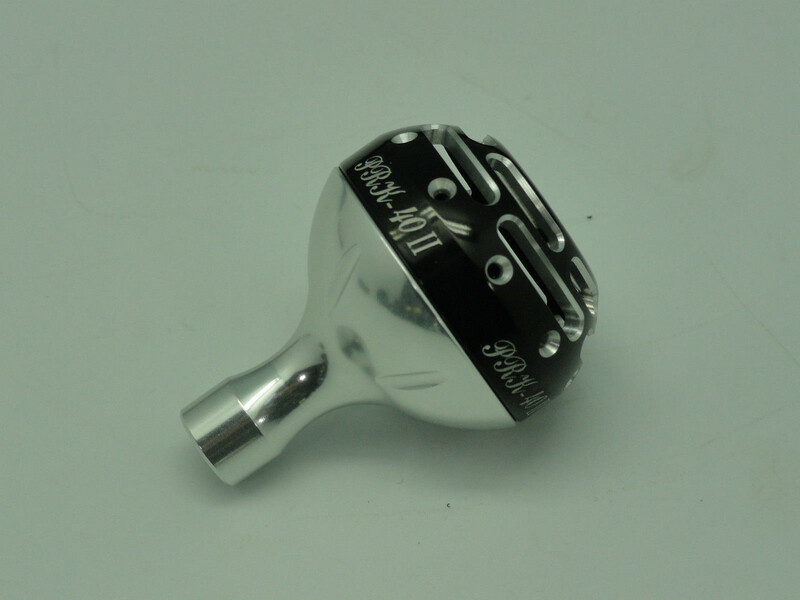 inside of the knob. 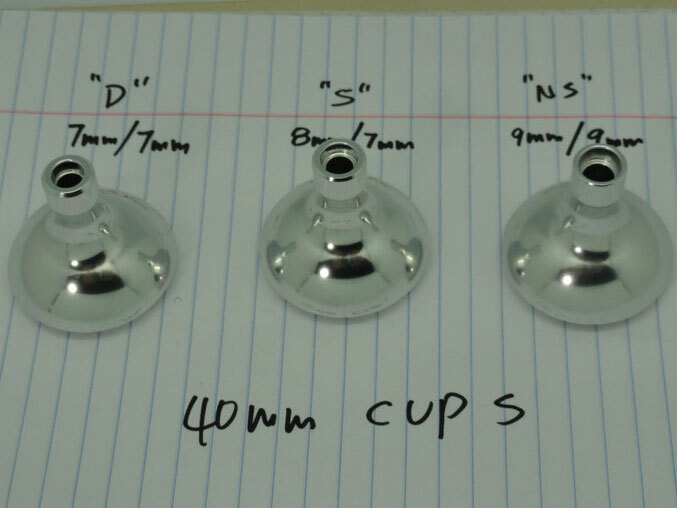 If your measurement is 8mm and 7mm O.D. 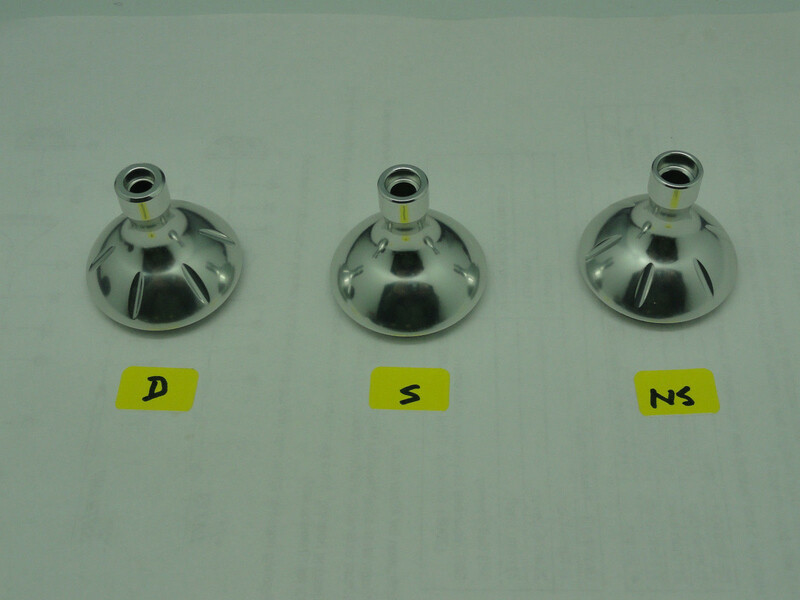 you need choose S cup, if your measurement is 9mm and 9mm then you shall choose NS cup. 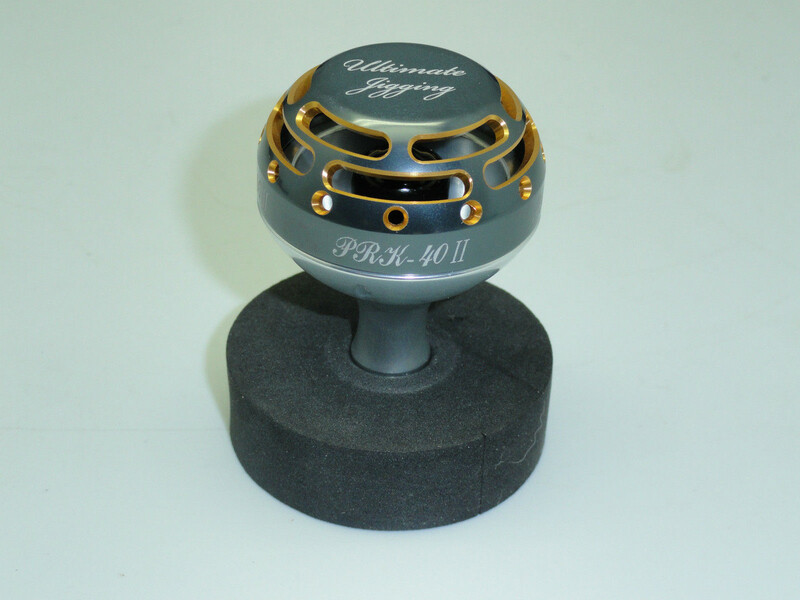 For more detail installation information, please see "40mm Type II: Upgrade Reel Knob Steps". 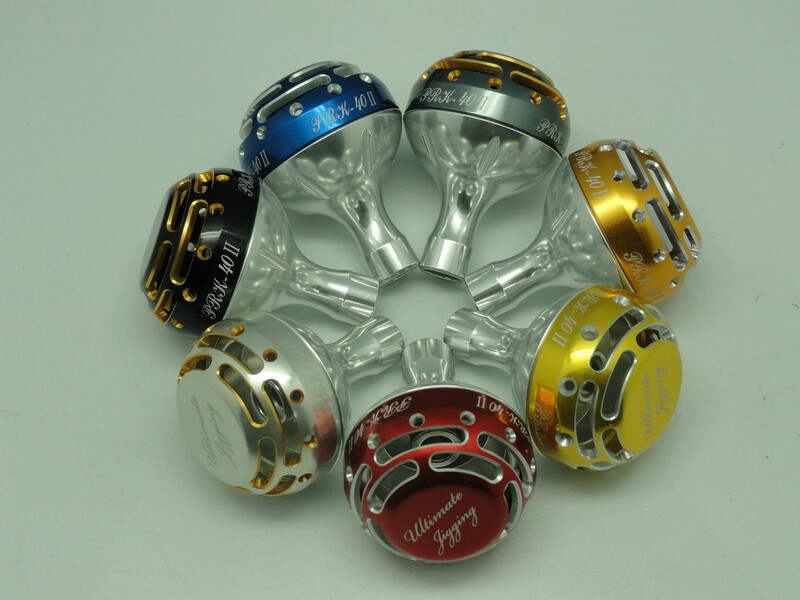 If you are not sure what Cup you shall need, please directly email us at support@pbmfishing.com to consult. 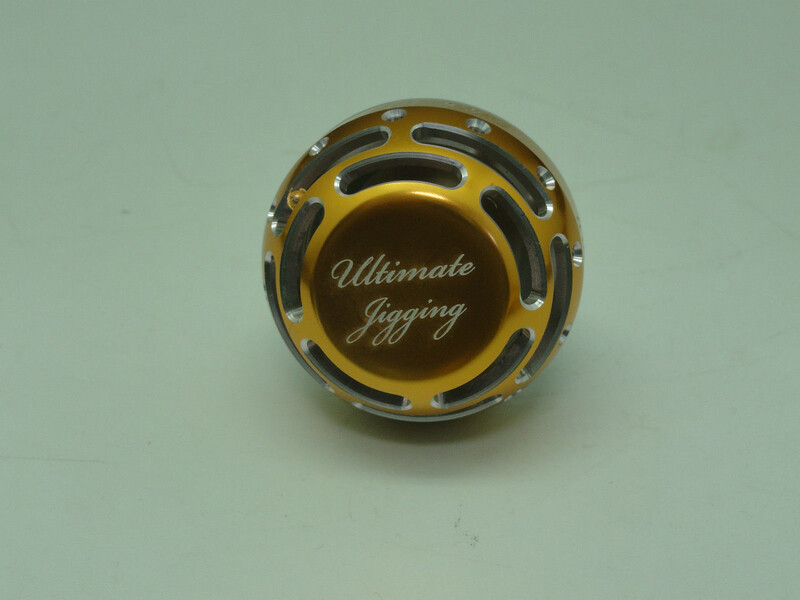 D Cup - two 7x4x2.5 Bearings. 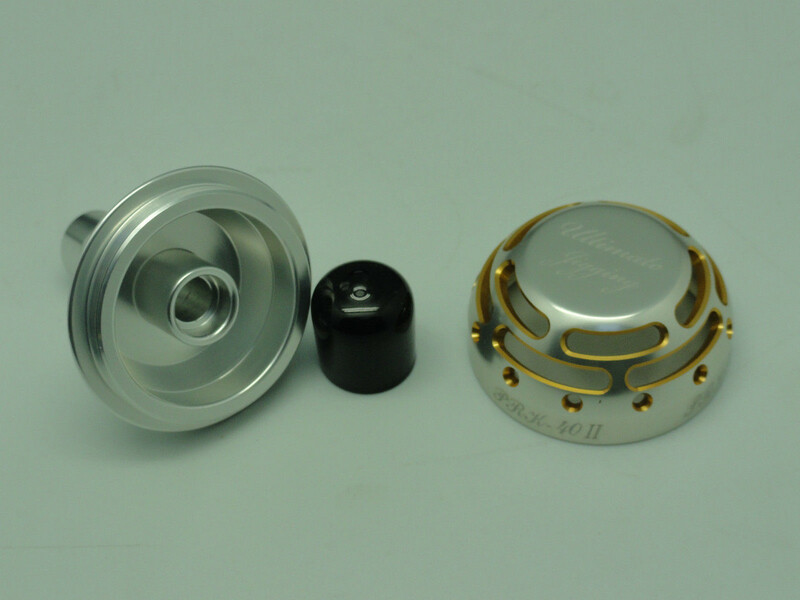 S Cup - one 8x5x2.5 Bearing and one 7x4x2.5 Bearing. 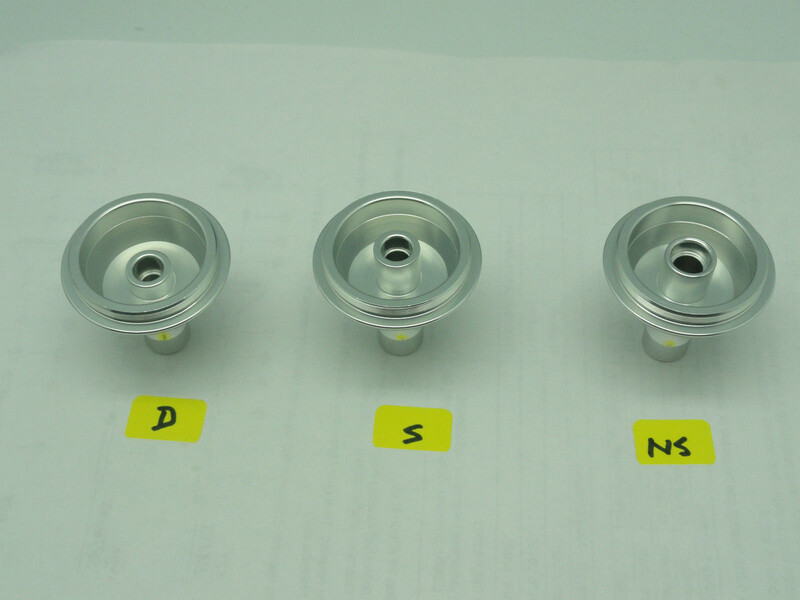 NS Cup - one 9x5x3 Bearing and one 9x4x4 Bearing. 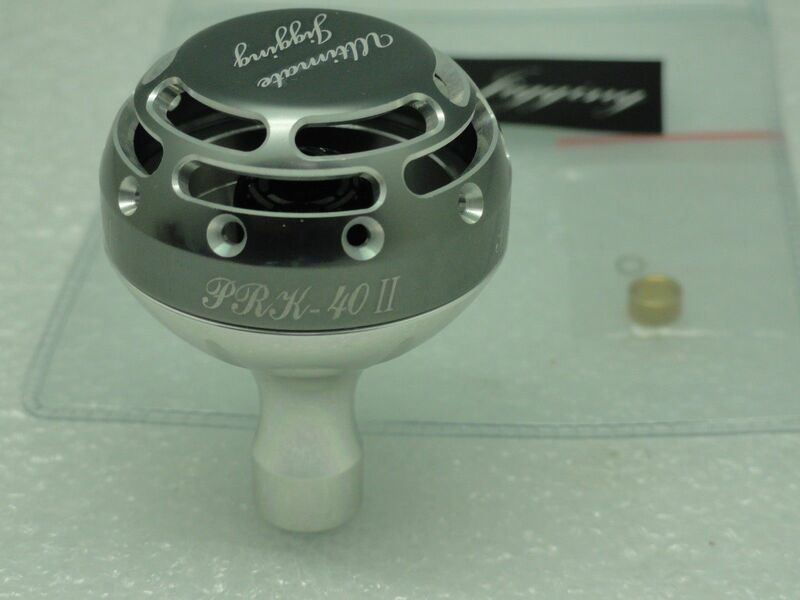 If you want to upgrade your Bearings/Sleeves or purchase extra Bearings, please shop with 40mm Reel Knob w/ 2 Bearings or 40mm Knob Type II w/ 2 Bearings. 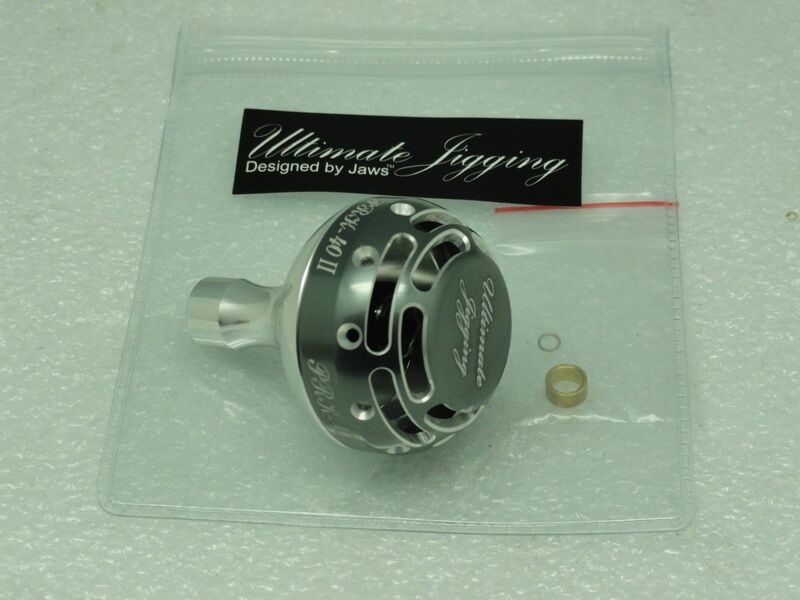 Length: 53mm. Dia: 40mm. 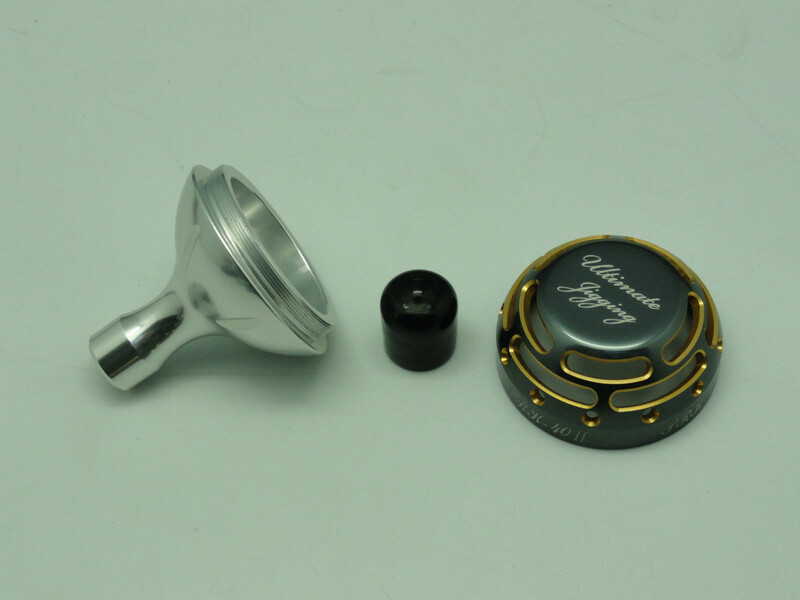 Weight: 34g/1.2oz.